Kiwifruit are high in nutrients, good in Vitamin C, E, B group, Magnesium, Potassium, Dietary fibre, Phytonutrients and enzymes to assist digestion. Melon produces a cooling, refreshing effect on the body with a light and delicious flavour. Compared to the other Nekta drinks I&apos;ve tried, this is one of my favourites. I found it to be quite a soothing drink, it was just cool, and smooth, not quite as harsh as some of the others. 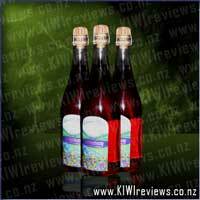 I think that the flavours of Kiwifruit and Watermelon go very nicely together, as this drink has proven. The Kiwifruit gives a good amount of sweetness, but I have found that sometimes it is just a bit too sweet. Watermelon, on the other hand, has a more mild sweetness, that for some reason toned down the sweetness from the Kiwifruit but also complimented it&apos;s flavour. Like with most food stuff I get, I didn&apos;t have any time to use this stuff in any baking or stuff like that, mainly because it was too darn good, so I finished it off quite quickly. 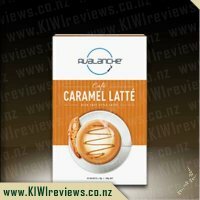 However, if I had used it in baking, I wuld have used it for something like a cheesecake ingredient, or perhaps even as a substitute for orange juice in muffins; these are ideas I will have to try, as this is a drink I would love to get again! While it says this drink is best served cold, I actually ound it quite refreshing and delicious even at room temperature, but in the summer this would be the perfect cold drink to enjoy. The drink had a great texture, it hadn&apos;t separated in the bottle, but also it was neither to lumpy nor too watery, it was a perfect texture and consistency that was quite soothing to be honest. The retail price for this product is good, I think that in relation to the portion size it works well, so it isn&apos;t a rip-off. 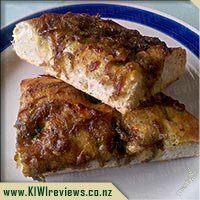 I would highly recommend this to anyone (so long as they aren&apos;t allergic to kiwifruit, that is), as it has a great flavour which I highly enjoyed! 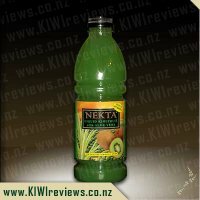 I have tried a couple of the Nekta range kiwifruit drinks in recent times. When I feel like something a little different and full of vitamin C, these are my go-to. When I saw that a melon option had been released, I was keen to try it. I like eating melon in summer and I thought that this juice would give me a little taste of summer in the middle of winter. I was right! I served this juice to friends when they came over recently. Each friend had a glass with their dinner. My children also were offered a glass of the juice to join us. Both children turned their noses up, and didn&apos;t enjoy the taste of the juice at all. I&apos;m not sure what part of the juice they objected to. But they haven&apos;t liked the other Nekta drinks either. This of course is brilliant for me, because I seldom have to share. One of my friends said that the taste of melon was really present as a first note. The smell of melon is really clear as you tip the glass towards your mouth. Another friend said that it was delicious and it made her think of her favourite Midori drink. The other adults seemed to like the flavour, except for one who was already not a big fan of melon drinks. My Midori mate gave me an idea, and I mixed up a little cocktail with this juice. Into a glass I added some vodka and cointreau and then the juice. 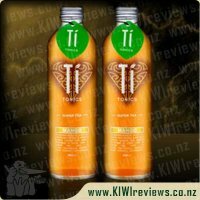 We tried it and it was almost like a Midori Illusions, except that that tart kiwifruit taste was also in there. It was still a great drink! Later as the evening came to a close, I put a little of the juice into a mug and then poured hot boiled water in. This gave us a wonderful warming fruit tea to finish the meal on. I really liked this juice and was happy to find that most of our guests did as well. The portions were excellent and meant that we got to all try it in different ways. I can not wait to replace my bottle next time I am at the supermarket. I guess I should begin with a warning. My review will contain information that anyone who has a strong imagination and a weak stomach might want to avoid. For you good people, I will leave it at "This is amazing! You really should try it." For anyone else, especially older folks, welcome to thing that ends my every nightmare. I am no spring chicken any more, and I spend a lot of time travelling. Usually between my house and a hospital bed. Very glamourous, a real jetsetter lifestyle for the unrich and slightly infamous in some circles. One of the most common causes of my regular visits to the hospital is cancer in the gut. All manner of bits of me have been removed and studied for signs of the big C. They find bits of it now and then, but after every surgery I find my old pipes get a bit backed up, and the medications they give me for it are almost as unpleasant going in as they are coming out. If only they tasted like a good hot curry as well as being as effective as one at the other end. While visiting the KIWIreviews office to collect some other goods, I was chatting to the chap behind the operation and after an interesting chat about his family history with cancer, and my mention of the side-effects of it all, he suggested I try this. 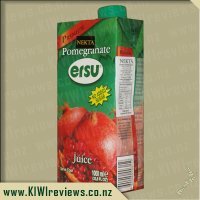 "Kiwifruit is a natural emetic after all, plus it has the benefits of lots of unprocessed natural sugars to help give you some extra, fast-acting energy when you need it, it&apos;s a lot smoother and way more pleasant tasting then those industrial drain-cleaner laxatives, and hell, you could probably get away with grinding up some electrolytic salts into it too, without it tasting like crap." After a quick phonecall to my doctor to make sure it was OK - and getting a surprised "Yeah, that could actually work. Sure, try it! I&apos;ll have a box of salts ready for to collect in 10 minutes." from him - I took the bottle away. Oh I am so very glad I did. The juice had good fibre, tasted wonderful even with &apos;sports drink powder" mixed in, and it really has perked me up no end. I don&apos;t even have to wear that annoying &apos;adult diaper&apos; at the moment because the plumbing is doing what it should have been doing for the last 5 years. I would like to only score it 5/10 on portions, because I want the bottle to be twice as big for the same price, but I know that&apos;s fantasy, so I will be fair and score it a solid ten because I think this drink is just the bee&apos;s knees. 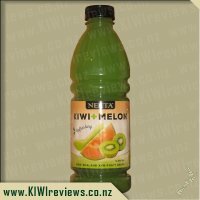 My deepest thanks go to Nekta for making this great drink, and also to KIWIreviews for introducing me to my newest love. Even my doctor was impressed by how well it worked, and has arranged a supply for me while I am up in the Waikato. This is the best tasting medicine ever. 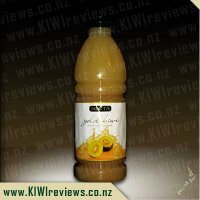 I&apos;ve tried others in the Nekta drink range and really enjoyed this so seeing a Kiwi and Mango combination I knew I had to give it a try. I noticed the label suggests putting this in the fridge to chill first and to give it a shake before you serve it. I decided that my first try with this would be in our morning porridge, my rice cooker has been fab for popping some porridge on to cook, do a job and come back to it, and I decided to substitute my normal water for this Nekta juice and it made for an even yummier breakfast and the kids gobbled it down, though my husband wasn&apos;t sure about it. Tonight I opted to drink the rest as is, having used half the bottle for the breakfast the other day, there was the perfect amount left to give myself, my husband and my mother a glass full each, so if I bought a bottle of this just for me then it would give me a nice amount of drinks. This is a lovely smooth drink that tasted delicious and was a hit for the three of us. 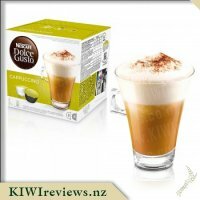 The melon adds a nice touch to the kiwifruit and takes away the acidity of the kiwifruit. At $3.89 its not usually in my budget to buy it and though I&apos;m not sure that I would buy it often I know that I will be buying it again in the future as a treat for myself (and maybe my husband if he&apos;s lucky...). I have simply adored kiwifruit since I was a toddler. It&apos;s one of those fruit, along with feijoas and gooseberries, that I have no rational reason for loving anywhere near as much as I do, and the newer varieties - especially the high-grade golds - are pure bliss in a hairy coat as far as I am concerned... so it was a total no-brainer that I was claiming one of these bottles for my own testing. First test, chilled as per instructions, nothing added. Astounding! So smooth, so sweet but with a hint of tartness, and just so very, very more&apos;ish! It was a real battle NOT to slug the entire bottle back in a single prolonged guzzle. So glad I didn&apos;t though, as I had some plans for this... A real shame those plans never eventuated though, as I rapidly discovered I could not leave it alone. By the end of the 2nd day after opening it, it was gone. I swear I only had 1 or 2 small sips each day... well, maybe 3 or 4 medium sips... OK OK, I glugged it like it was the Elixir of Immortality or something! I am ashamed. I *wanted* to make a cheesecake or use it in a loaf of some kind, but there just wasn&apos;t enough in the bottle to quench my unstoppable desire for it. No, I swear I am not over-selling this, I really do think this is the best fruit drink I have had in years... and coming from someone who doesn&apos;t drink water, milk or juices very much, that&apos;s really saying something. The best I managed was to use it to test a steak marinade. I made up some marinade and then divided it in half. One half got some of this juice added, the other didn&apos;t. I then cut some steaks in half and bagged them in the marinades, cooked them up the next day, and sure enough the steaks that had been soaking in the kiwifruit-enhanced marinade overnight in the fridge were a lot tenderer and less trouble on my teeth. Overall, I would love to see this on supermarket shelves in 2-litre or bigger bottles, because I would buy it for sure. 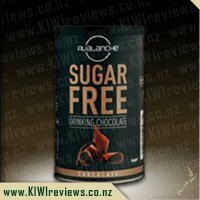 I loved how it has natural, unprocessed sugars, heaps of dietary fibre, and great health benefits. 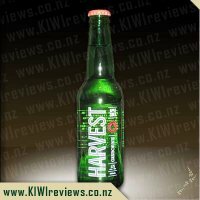 The combination of flavours is perfectly balanced, with the distinctive tang of kiwifruit shining through, but slightly offset by the smooth coolness of the melon. I&apos;d love to see a "Kiwifruit and Mango" or "Kiwi & Pineapple" variant appear - I think they would be the ultimate, and I know the Kiwi/Pineapple one would be a shoo-in for marinade-booster supreme! 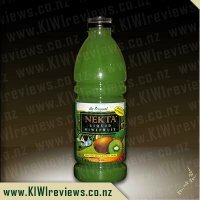 I have always drunk the kiwifruit juice made by NEKTA and I find it refreshing and so good, so I had to try this. I thought it was great with the hint of melon added to it. I drink this a lot for health reason and also I find helps with my digestive system. I also use as a base for fruit smoothies and its delicious. I will add the juice, then add pineapple, banana and berries and it makes a perfect tasting smoothie while getting a great hit of fruit for the day. I find it helps keep me fuller for longer as well. It&apos;s great as my son really enjoys it as well and I make iceblocks from it which are always a hit, and I like that its good for him and I&apos;m happy knowing he is drinking this rather than fizzy drinks. Price wise I love it when its on sale at the supermarket, I always pick up more when they have sale weeks. Normally if its full price I do tend to double think if I can really afford it this week, before I grab a bottle. Not that its overly expensive but for the bottle size, I love the sale price better. This is a tasty sip. If you pour it into a glass it has that usual clarity at the edges of the glass that is expected with a drink that it effectively water mixed with a fruit puree; but this drink is anything but watered down. With 25% fruit pure, it is on the higher end of the concentration spectrum, so this drink screams high quality. I&apos;m very happy with the choice of flavours in this variety as the melon takes the edge and acidity off of the kiwifruit. 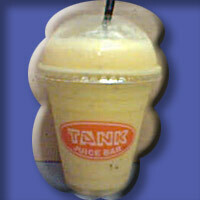 This is turn makes this drink a great base for fruit smoothies or even a mixer for more adult drinks. This beverage is full in flavour, but doesn&apos;t seem to have that real chill to it that you get from some other refrigerated fluids, such as straight milk and water, so I&apos;d probably rank it in the mid 90&apos;s on a "refreshing percentage" scale; drinking it after an intense boxing workout, I needed to add ice to get that cold hit that I really needed. The one real problem with this drink, is that is goes down so easily. Less than two days have passed since I received the item to review, and I had only been awake and at home for about 5 hours in total during those days, but this one litre bottle is already empty. I have one mouthful left sitting in a glass, and I&apos;m really not looking forward to finishing it, because I know I&apos;ll immediately want more. Every day we are exposed to harmful environmental toxins such as UV light and pollution. Rejuvenate and protect yourself with with our specially formulated blends, full of essential phytonutrients. Ti-Tonics are advanced blends of natural tea extracts, fibre and plant polyphenols, designed to quench your thirst and nourish your body. Polyphenols are nature's most powerful antioxidants and protectants. A modern fusion of both white and green tea extracts, with natural mango and acai flavours, this is a great choice for those looking to update from the run-of-the-mill 'orange and mango' flavoured drinks.